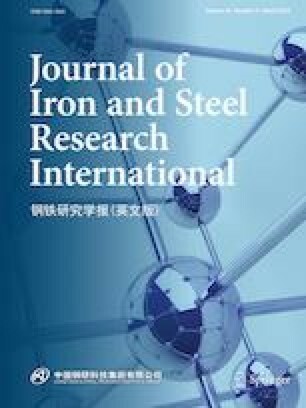 It is my honor to have this opportunity as a guest editor for Journal of Iron and Steel Research International (JISRI) to deliver some remarks on this specially organized column entitled Stainless Steels: Processing, Microstructures and Properties. Since stainless steels have many merits in their resistance to corrosion and staining, low maintenance and high-quality surface, they have long been developed as an ideal and widely used ferrous material for many applications in various industrial fields and daily household appliances where both the strength and anti-corrosion ability are required. In this respect, this special column stresses some recent research advances in several stainless steels regarding the alloy design, processing techniques, heat treatment, microstructures and mechanical behaviors as well as anti-oxidation and corrosion behaviors in certain environments. It is well known that the stainless steels are most notable for their corrosion resistance, which increases with increase in the contents of Cr and Ni. Meanwhile, the corrosion resistance of the stainless steels is increased by addition of Mo which improves corrosion resistance and prevents pitting attack in acid environments such as chloride solutions. Thus, there are several families and numerous grades of stainless steels depending on the contents of Cr, Ni and Mo to adapt to their service environment. Austenitic stainless steel with face-centered cubic crystal structure, the largest family of stainless steels, is well developed and accounts for about two-thirds of the whole stainless steel production. With the exploration and utilization of marine resources, superaustenitic stainless steels with much higher Mo content and N addition find their useful services for seawater applications since they possess even greater resistance to chloride pitting and crevice corrosion. Considering Ni, Cr and Mo being the precious metals, for a long time there has been a trend to develop low-cost light-weight stainless steels such as 400 series steel and Fe–Mn-based Al-containing alloy to be used in automobile manufacturing, interior decoration and civil engineering. Thus, the relationship of the alloy compositional design, processing technology and microstructural evolution to the mechanical properties and service behavior under different corrosive and oxidizing conditions becomes the future focus regarding the cost-effective stainless steel development. Another concern for the ferritic stainless steel is directed to superferrites with higher Mo and/or Cr mostly, and their applications at elevated temperature such as manufacturing the hot-ends of exhaust systems for automobiles and solid oxide fuel cell tanks, due to their high-temperature service conditions in extremely corrosive environments. As a result, the alloy compositional design, processing and anti-corrosion behavior become the principal subjects in heat-resistant ferritic stainless steels. Some related researches can be found in recently published journals on Fe–Cr–Mo steel alloying with the higher melting-point metal W and the rare earth element Ce. Owing to the shortage of nickel resource and the unusual role of nitrogen in stainless steel, high nitrogen stainless steels were first developed in 1940s. In recent years, there is an increasing interest in high strength nitrogen-alloyed martensitic stainless steels and advances have been made in this kind of stainless steel with the aim that the carbon atoms are partly replaced by nitrogen to increase their hardness/strength and corrosion resistance. For this steel, however, the limited solubility of nitrogen can be increased by the pressurized electroslag remelting process in which melting is carried out under a higher nitrogen pressure leading to N content of up to 0.45%. As this process is expensive, lower but significant N contents can be achieved using the standard argon-oxygen decarburization route. Nevertheless, due to their reduced Cr content, the corrosion resistance of nitrogen-alloyed martensitic stainless steels is lower than that of the conventional ferritic and austenitic stainless steels. Duplex stainless steels are characterized by a mixed microstructure of austenite and ferrite with higher Cr (19–32%) and Mo (up to 5%) and lower Ni contents than austenitic stainless steels. Compared to austenitic stainless steels, duplex stainless steels have roughly twice the strength and their dual-phase microstructure provides improved resistance to chloride stress corrosion cracking. As the duplex stainless steels are intrinsically dual-phase microstructures, some problems usually occur in cold or hot working, heat treatment and welding, and even in services due to their lowered plasticity and ductility, while these problems are usually associated with unexpected precipitated phases. In this special column, five papers covering martensitic stainless steel, duplex stainless steel and ferritic stainless steel, as well as some recent advances are presented in processing technologies, precipitation behavior, mechanical properties and formability. One of the important indicators of industrialization level for a country can be evaluated by the research, development and applications of stainless steels. I believe that this special column on stainless steels can interest readers and receive much positive response.